If you have to type a lot of documents on a regular basis or chat with friends for long periods of time but hate typing, then you are going to love this Mac feature. OS X has a built-in dictation feature that allows users to dictate anything, which is then quickly turned into written text. The dictation feature of the Mac works surprisingly well and if you speak clear English or any other supported language, then you should be able to dictate without any errors. 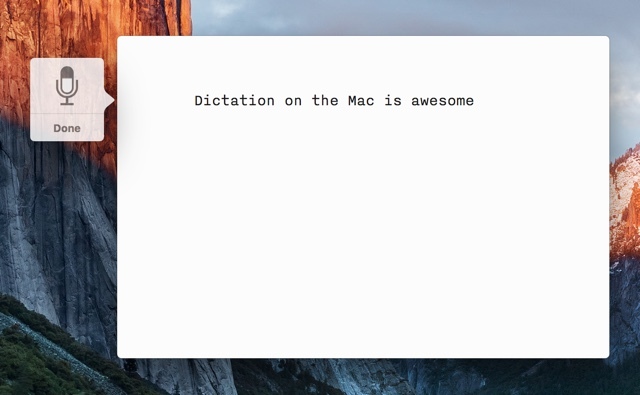 In this post we will show you how you can enable the dictation feature on your Mac and use it on daily basis. Open the System Preferences app from LaunchPad and click on the ‘Dictation & Speech‘ icon. On the next screen click on the ‘On’ option. 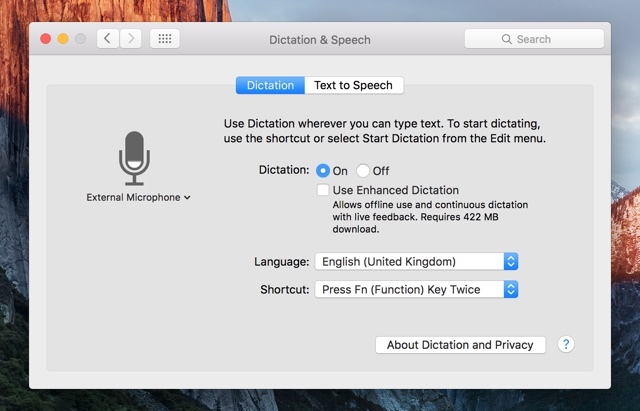 Now your Mac will ask if you want to ‘Use Enhanced Dictation‘. You can choose to enable or disable it. Read more about it below. Now that you have activated dictation, you can configure it using the options detailed below. What this feature does is, it downloads the speech recognition software to your Mac, so it does not have to send your speech to Apple’s servers for it to be converted into text remotely. This means when you enable this option you can use dictation offline as well. You can choose to enable this feature right away by clicking on Enable button, in which case OS X will download a 422MB update. Or you can choose to do it later using the tick mark option located under the on/off buttons. Below you will find another important option called Shortcut. This option lets you choose the buttons you want to assign to dictation feature. When you press those buttons, your Mac will start listening. By default double press of the ‘fn’ key is selected, which I find convenient. However you can change this using the dropdown menu. You get a list of options, and you can select your own desired keys using ‘Customize’ option. Lastly, if English is not your first language then you can also select dictation for other languages using the ‘Language‘ option. Just click on ‘Add Language’ option and from the list select your desired language. You can choose from different dialects of English, Arabic, Chinese, French, German, Italian, Spanish and many more.